The longevity of your garage door depends on many things, ranging from its installation to the quality of materials. One of the easiest ways to avoid problems and expand lifespan is garage door maintenance. 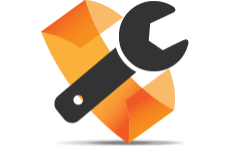 This service rather aims at preventing than fixing problems although the pros always repair minor issues. When you come to us to help you, your door is inspected and maintained in a professional way. 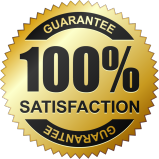 So, if you want the best garage door maintenance in Toronto, contact us to make an appointment. When you ask our help for your maintenance needs, a pro comes for services whenever it is convenient for you. 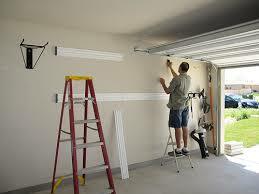 We are very flexible when it comes to regular garage door maintenance service in Toronto, Ontario. Whether you want to service your garage door tomorrow or next week, we make it happen. Whether you own an overhead or roll up door, the pros have the expertise to service all types. The technician comes prepared for garage door troubleshooting, adjustments, lubrication and repairs. Who can tell what a door might need! Even if you service the door regularly, the winter might have taken its toll on your door. The role of the pro is to check well every part of the door and tackle any problem, which will keep the door from performing right. The garage door adjustment won’t only include checking the balance. It will also include checking and accordingly fixing the opener settings and reverse mechanism. The tech makes sure the door moves up and down smoothly and all the way. He ensures the door won’t leave a gap on the floor or make noise while it moves. Everything is inspected and fixed. The good news is that maintenance won’t cost much and will also save you money from future problems. Call us at Toronto Garage Door Repair to schedule your service. Don’t forget that a problematic overhead door might not close right compromising indoor energy along with your security. Since all parts are fixed and oiled, they move smoothly and thus noises are eliminated and parts last longer. Remember that well-serviced overhead doors won’t become a problem to your safety either. 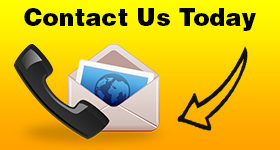 So give us a call today to arrange your Toronto garage door maintenance with us.